If you’re wondering what genre those anime with clunky giant robots and metal-versus-metal battles (often in space and in air) belongs to, they all are listed under the “Mecha” genre. Often in these shows is the premise of having a war or serious conflict at hand between two opposing forces. While it seems that most of the titles in this genre uses the same old formula I mentioned, it does work and has actually garnered a huge success with that. 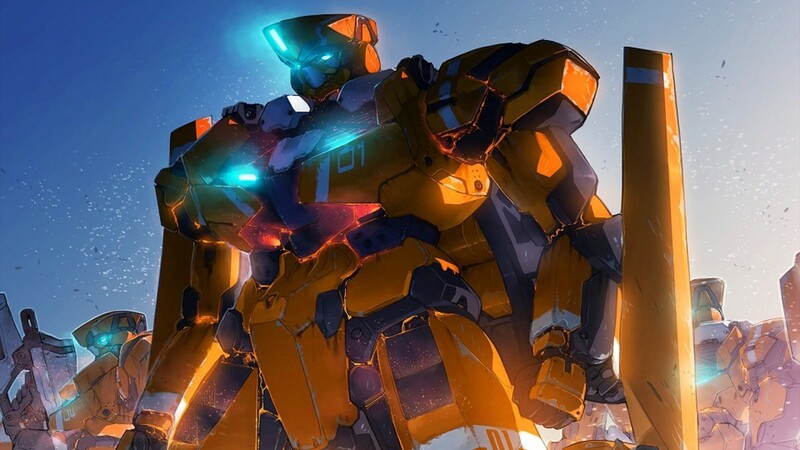 Now, since I happen to be an avid spectator of mecha anime, I’ve created this list of the top 10 mecha anime based on my personal favorites. I’ve included those with high-end action and massively-indulging plots in this list so you can be rest assured that you’ll most probably enjoy them as well. If you’ve got some titles that I’ve missed but are particularly good as well, then kindly share those in the comments section. 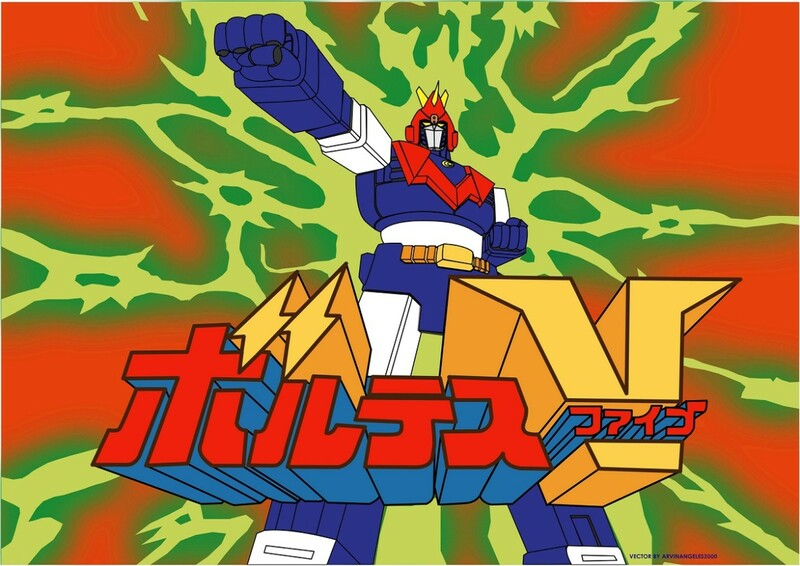 I decided to put Voltes V on this list because it’s one of the greatest mecha anime classics of all time. Despite its very ripe age, its story is truly superb! Actually, if there would be a remake of it conforming to today’s standards, I’m sure that it’ll manage to gain attention enough to feed its popularity. From the classic robot transformation sequence, to the battle cry, and even to the excellent story filed with action and drama – Voltes V is truly a gem of the classic bunch deserving of a spot on this list. The Boazan alien race have suddenly attacked Earth with the intent of invading it, but, Earth’s got a card up its sleeve for when a grave situation like this arises. From the top-secret base of Camp Big Falcon lies a giant robot capable of repelling any alien threat. That robot is the Voltes V, and it’s piloted by five (5) young elites who were trained for that very moment. Five units, one gigantic transformation – Let’s Volt In! It’s controversial, psychological, and even philosophical! 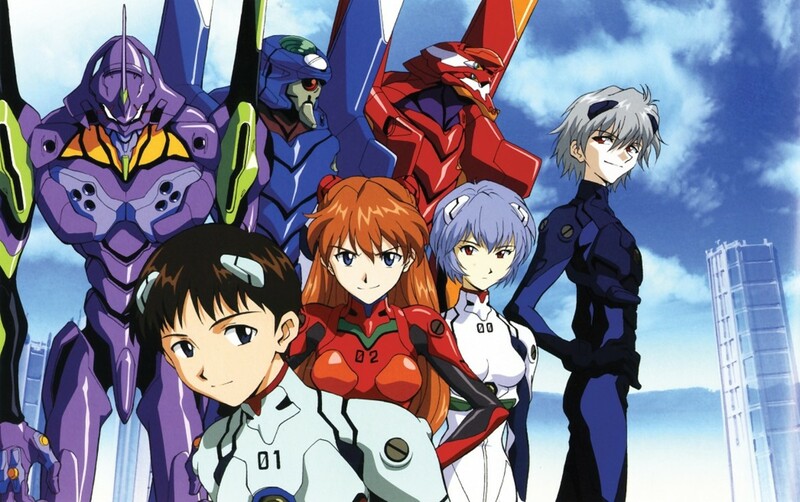 Yet another one of the classics (with this being a younger classic, 90’s) that showed the world how a mecha anime can be so unique and realistically relevant at the same time, Evangelion is a pioneer of its own style and flair. Yes there are robots in this one (being a mecha anime and all) but, the focus is on the characters and how realistic it is for an ordinary kid to pilot a mecha-unit and try to save the world. 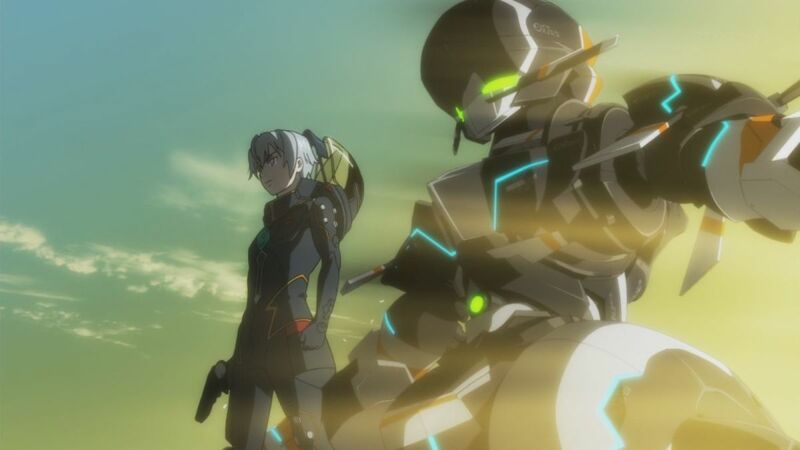 Story-wise, this anime is a wreck but, with its distinctive take on its characters and its own mixture with the mecha genre, Evangelion merits the right to be noticed and celebrated. When monstrous alien-machines called Angels appears on Earth to devastate everything in their path, the world is left at their mercy while holding on to a slim chance of survival. 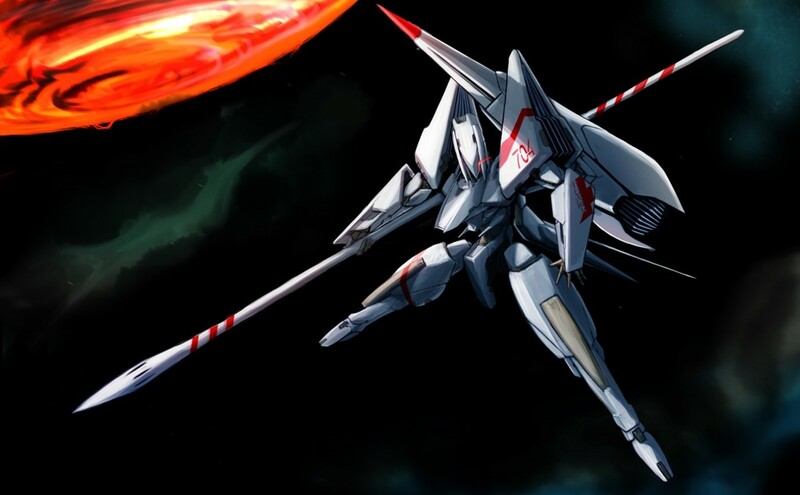 Fortunately, a group known as NERV has developed a mecha called Evangelion which can go on par with the Angels. There’s one problem though, only a select few individuals can pilot it. One of them is Shinji Ikari, a boy who has to has to get through his personal issues first before he can save humanity. 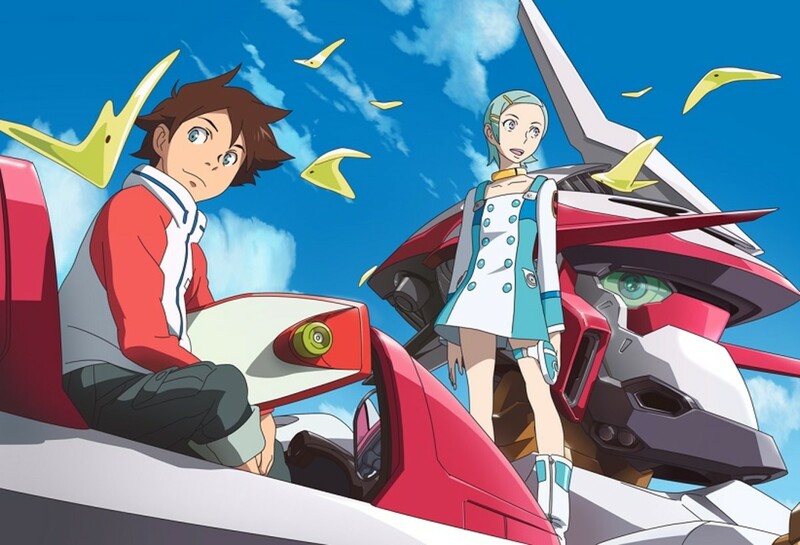 If should name a strong point of Eureka Seven, then that would be its design and animation. Trust me, the design and animation of this anime is so top-notch that it will practically give your eyes a big sense of enjoyment. And while the story is just 50-50 with respect to it being either a hit or a miss to anyone watching it, Eureka Seven’s action scenes are well-enough to keep you glued to the screen. And oh, watch out for the trapar-wave-riding scenes – those scene are seriously made of eye-candies! With the dream of joining the LFO (Light Finding Operation) aircraft group he idolizes the most someday, Renton Thurston has lived his days desiring of a change that would make his dream a reality. One day, an LFO known as the Nirvash TypeZERO crashed into his grandfather’s workshop to try to get a fix. From the cockpit emerged a beautiful girl named Eureka who is actually a member of an LFO group and is currently being pursued by some assailants. Getting caught up in the heat of the situation, Renton gets himself fully involved until in a twist of the moment, he suddenly finds himself as the newest member of the group he wanted to join the most – Gekkostate! Since I know that Sidonia no Kishi wasn’t able to garner fame worthy of its marvel, it’s time to shed some glimmer of light into it by putting it on Top 7 of this list. It’s true that the visuals are kinda off-putting all throughout the series (especially the first few episodes), but believe me – you’ll get acquainted with it in no time as the story and action enthralls you into its core. As some people says, Sidonia no Kishi is the Shingeki no Kyojin in space! Think that the SnK acronym was just a coincidence? Well, this mecha anime is so good that it has the overwhelming potential to keep you at bay watching it in all its glory. All you have to do…is give it a chance. After the mysterious alien creatures called Gauna destroyed the solar system, humanity escaped into space by using vessels designed to last-long and sustain life in space. One of the so-called space vessels is Sidonia, and a thousand years later, it’s still struggling against the Gauna which seems so intent in crushing it. If not for the protection of the robots called Gardes, Sidonia would have been doomed to fall. Now, a young man named Nagate Tanikaze dons the legendary mecha-unit, Tsugomori, to continue the fight with the Gauna and try to end it once and for all. Ledo has always lived in the space battlefield fighting against humanity’s greatest enemy – the squid-like beings called Hideauze! In one intense battle against the Hideauze, Ledo and his allies fails miserably resulting to him getting flung in a time-space distortion sending him off to a planet that has been thought to have been long-lost and gone – the planet Earth. With the inhabitants of Earth now living on top of the seas in gigantic island-shaped settlements, Ledo finds himself on one in a place called Gargantia. There, he shall learn how to live through the scope of the base’s culture and ways of life while he finds a way to get back to where he came from. If I had to choose my favorite Gundam series from the Gundam franchise so far, I’d never hesitate to immediately say – Mobile Suit Gundam Unicorn! 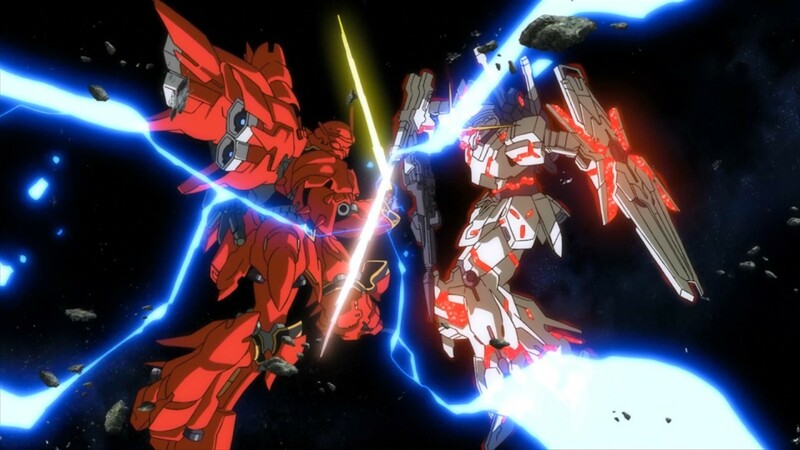 Compressed in just seven (7) episodes, Gundam Unicorn dashes in with such brilliance that its action and story propels everything into an explosion of epicness! The story, the mechas (Gundam units), the characters, the execution, the action – everything smoothly combines to deliver a one-of-a-kind Gundam story clad with tightly-packed excitement! In any century that has passed, war was something inevitable and was always bound to happen. Same goes for the Universal century, where new means have opened up the possibilities of further advancement. What’s being highly-sought now is an item known as the Laplace’s Box – an item so powerful it is said that it can easily tip the balance of power. And, the only clue to it is the RX-0 Unicorn – the Mobile Suit Gundam Unicorn! At first look, you would say – “Woah, those robots are badass and humanity has no chance!” But then, an ordinary trainer robot comes in to obliterate them all! Yes, that’s exactly what’s happening in Aldnoah.Zero. It’s a battle of wits with a dazzle of great action on the side! But why is it great, you say? 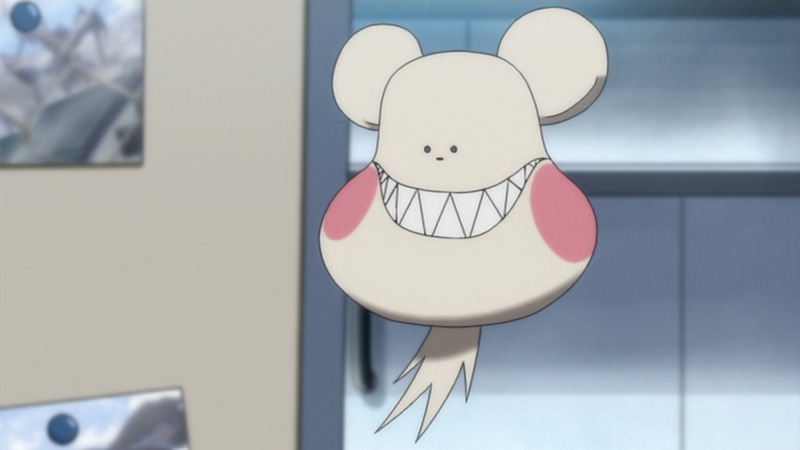 Well, its plot and main characters (Inaho and Slaine) takes a hold of great promise that you’ll just scream for more. And did I mention that the kataphrakts (robots) are uber cool? Yes they are! Though most of them would just be crushed anyway. Even though, they’re all cool and that’s what matters! Two factions, one goal – to conquer the other and take a hold of Earth’s resources! When the Martians (humans from Mars) descends to Earth with their mysterious power called Aldnoah and their special Kataphrakts (mecha-robots) after their princess’s assassination, they unleash their fury by demonstrating their power through violence and war. All hope seems to have been lost, but when the princess suddenly appears and a young student brilliantly takes the front-lines, questions were answered as to who the real enemy is. It’s just more complicated than that though as the revelation of the power of Aldnoah was just the beginning of it all. Coupled with superb battle robots and an exceptional conspiracy story, Kakumeiki Valvrave easily passes through to snag the Top 3 spot on this list. 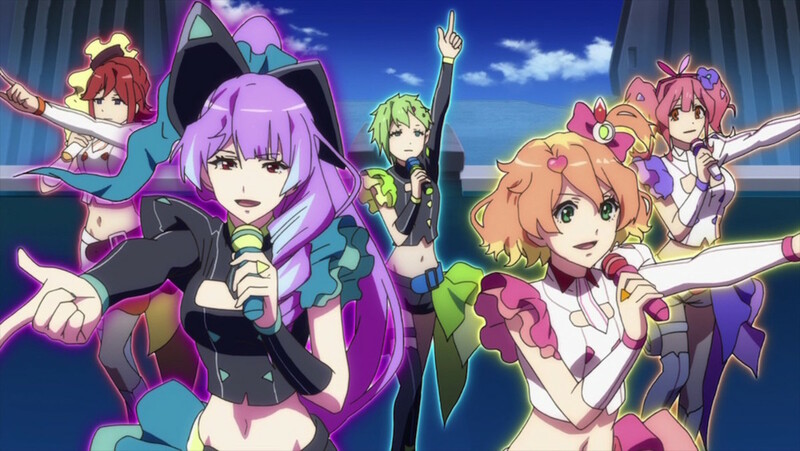 Mecha-unit-wise, the Valvraves are one of the best I’ve seen so far (it actually makes me want to possess action figures of them). Then the story, it’s a big conspiracy that’ll absolutely steal your attention on every opportunity. From beginning to end, it didn’t fail to captivate me and I’m sure that’ll be the case for you as well. 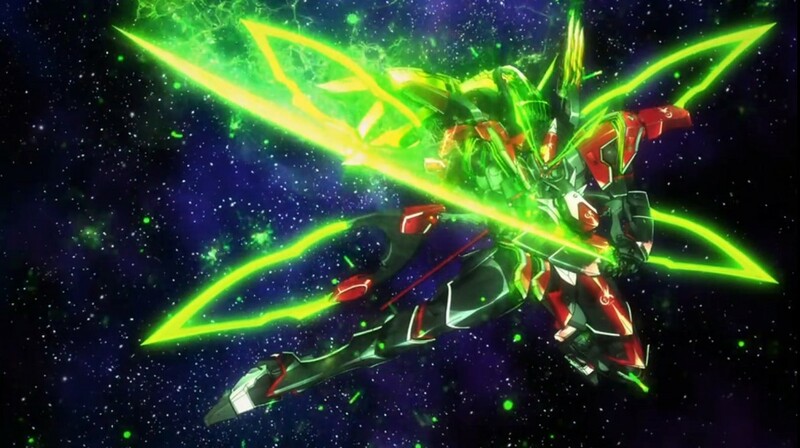 Overall, Kakumeiki Valvrave is a mecha-anime truly deserving of being remembered forever. If you haven’t seen Code Geass yet, then I recommend that you see it through to the end as soon as you can. 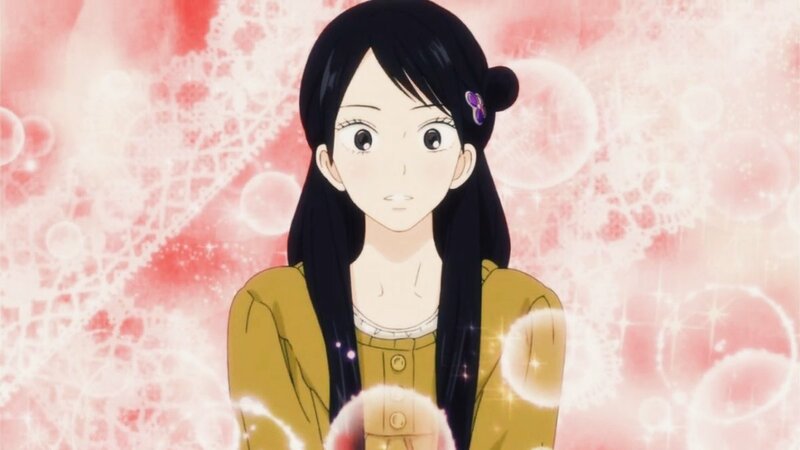 It’s an anime that’s so brilliant it mixes physical and mind battles quite perfectly. It’s not just a mindless mecha-action anime, it uses brains and wits as a main component in battles – and it does so in such a way that will make you say AWESOME! And the mecha units – yes, they’re secondary to the plot but they’re so well-made that seeing them scramble across the screen is truly a bliss and a highly-exciting experience. All of that being said, Code Geass is certainly a must-watch mecha anime well-deserving of the massive success it garnered. Exiled to live a life far from royalty after an unfortunate tragedy, Lelouch vi Brittania along with his sister Nunnaly vi Britannia, now stances as students in Ashford Academy located in the soon-to-be-warzone, Area 11 (formerly Japan). As fate might hold it, Lelouch gets involved in a conflict caused by a rebellion, which pressed him to obtain a mysterious power only a few people know. That power is known as the “Code Geass”, the power of kings which was granted by him by a witch named C.C. who he found in the middle of the conflict. Now possessing such fated power, Lelouch shall try to change his and his sister’s fates along with the world in order to stop the conflicts and get to the bottom of everything that has tragically transpired so far. One word – EPIC! 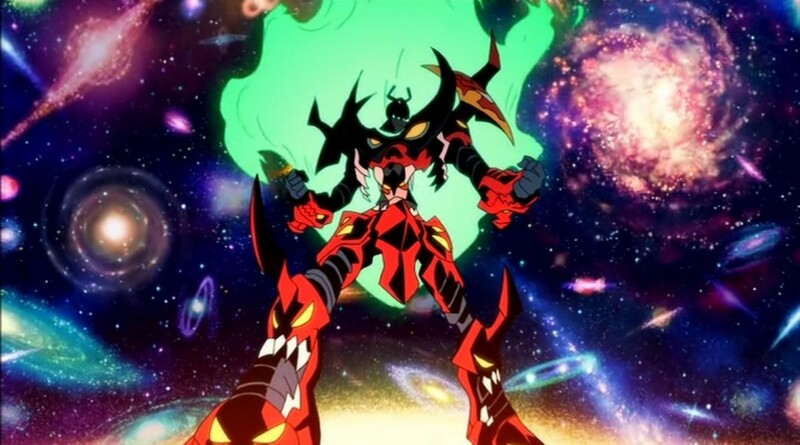 In the anime world, Tengen Toppa Gurren Lagann is accepted as the most epic anime ever produced! And that’s not just the reason why it’s here on the Top 1 spot! In all mecha anime shows I’ve seen, Gurren Lagann is probably the most badass of them all! Standing at a height bigger than the moon (perhaps even way bigger than that), Gurren Lagann is also the biggest! And with a story and all its elements overblown to gigantic proportions, it’s so obvious that this one would gloriously stand proud at the very top of the universe. In a time when the human population has dwelled and lived in the cover of the darkness underground, not even one knows of the existence of the blue sky nor the surface world anymore. As people now only dig tunnels to expand the human territory, a young digger named Simon makes a grand discovery (in the form of a spiral drill) that shall soon alter the fate of humanity and the whole universe forever. 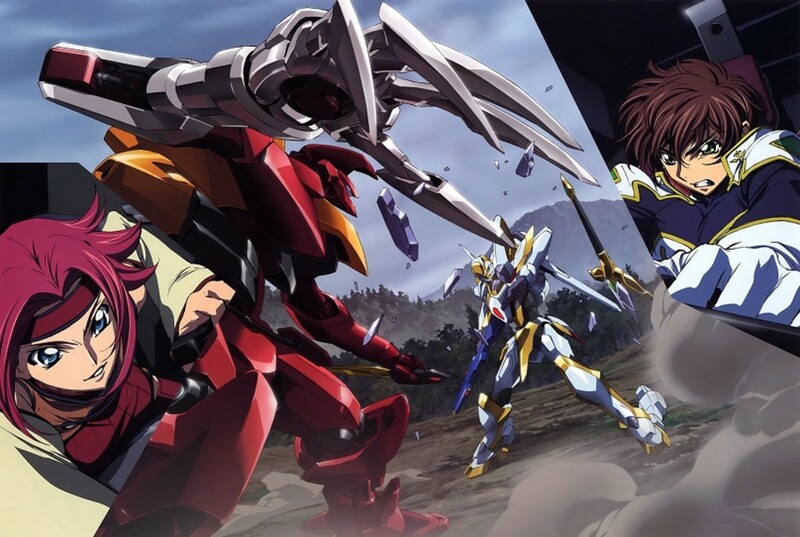 Are you an avid spectator of the mecha genre in anime? 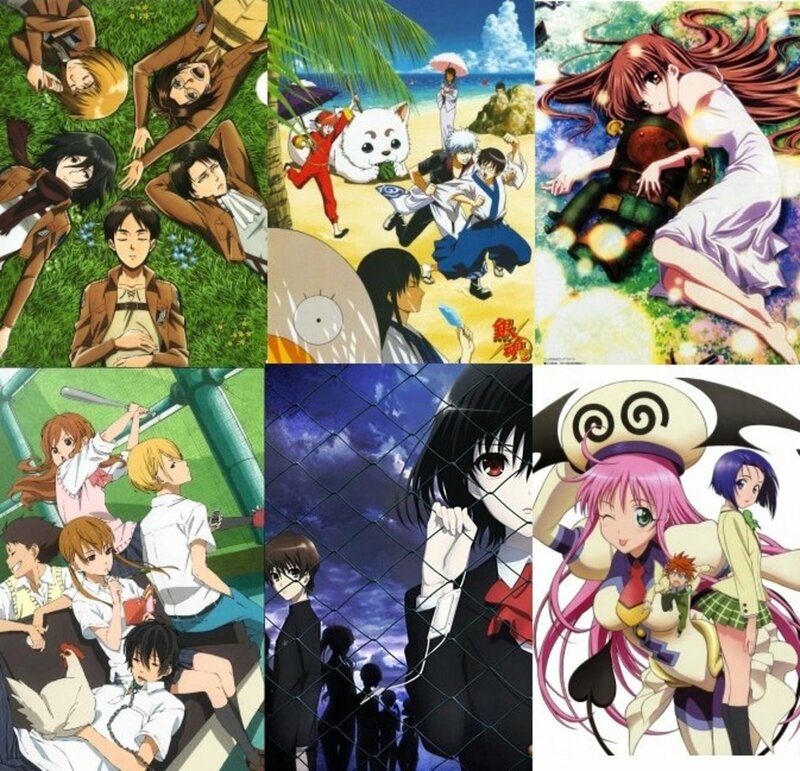 Here are the Top 10 Best Action Anime you could spectate. These are the best in the action genre so enjoy watching. Who would have thought that death and danger can lurk can even in the most delicate and youngest of hearts and souls? Here comes the most dangerous and deadliest children in anime! @Intrigued The "I'll look into that one." comment is in response to the "Rinne no Lagrange" comment. I've never seen that anime and it's not on the list. Cheeky Kid, in your post you always talk about the anime’s as if you have seen them first hand. Yet in the comments you say that “I’ll look into that one.” Referring to an anime on your list. So have you actually seen these or not? Where the heck is Getter robot? i recommend the number 1 ,Tengen Toppa Gurren Laggan. Thanks. I'll look into that one. Great Animes but i missed one... maybe you haven't seen it but its worth it in my opinion "rinne no lagrange"